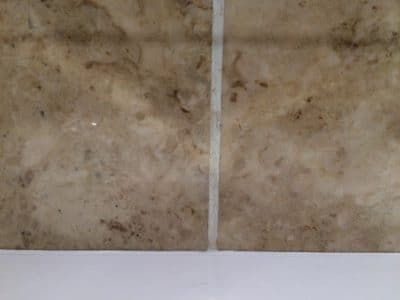 Newly tiled bathroom walls suffered severe staining as cleaners use a hard lime scale remover on the stone and etch stained the marble. 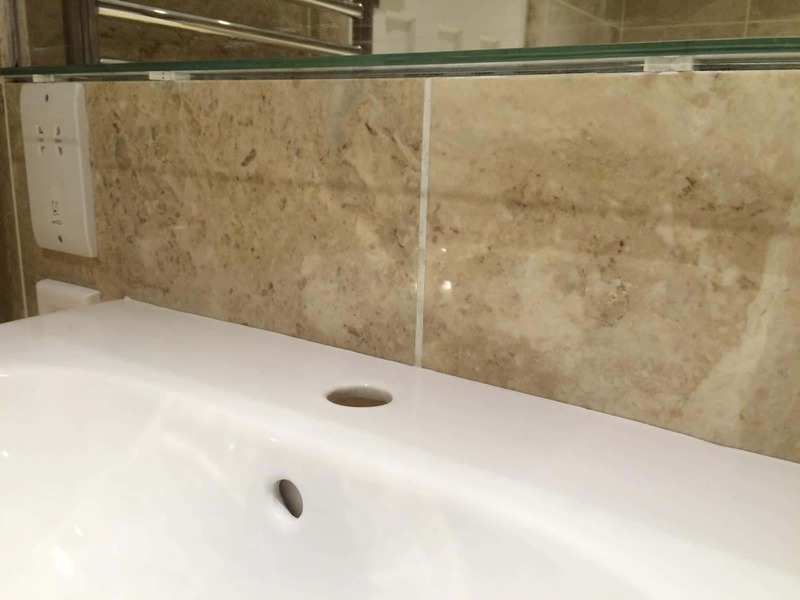 Wall tiles between sink and glass top need a polish and protection. 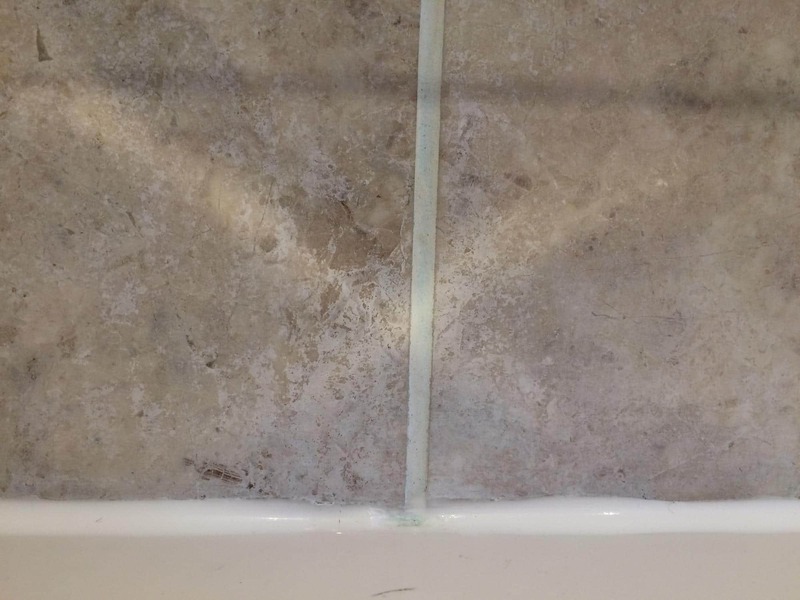 Close up of etch damage over the sink. 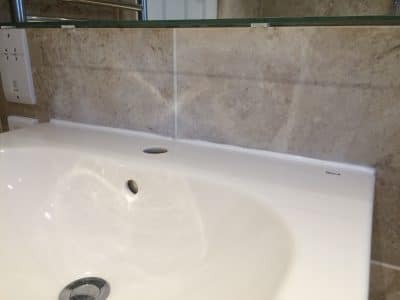 Tiles polished to gloss finish and protected with treatment. Finished look of work over the sink.